Take cover – dinosaurs are on their way to Birmingham NEC! The new immersive live action experience combines theatre, theme park fun and the latest scientific research to take visitors back 67 million years. Dinosaurs in the Wild will be at the NEC from June 24 till August 24, 2017, the first long-stay show the venue has hosted. The production cleverly weaves together live sets, cutting-edge computer-generated imagery and animatronics to create a believable prehistoric world. Visitors will be able to see – and feel – for themselves what the world was like millions of years ago in the realm of the dinosaurs. 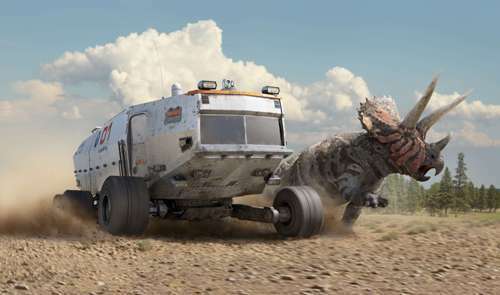 The show itself uses stunning technology to recreate the late Cretaceous period. The 70-minute adventure will transport visitors, who will be guided throughout the tour, back 67 million years by time machine to the scientific research station TimeBase 67 run by Chronotex Enterprises, the UK's pioneering time travel company. Nine dinosaurs will feature in the experience, including the terrifying Tyrannosaurus Rex, the iconic Triceratops, the gigantic Alamosaurus and the club-tailed Ankylosaurus. The immersive experience uses the latest scientific research to truly reflect how these majestic animals looked. It has been created by award-winning producers with a track record on some of the most successful dinosaur productions of all time. "We were keen to create something new that raised the bar for live action experiences,'' says producer Jill Bryant, who also headed up the development and launch of the arena show Walking with Dinosaurs. ''We are confident Dinosaurs in the Wild will do just that and we are equally confident that the NEC will be a fantastic launch venue. "We chose Birmingham for Dinosaurs in the Wild partly because we felt it was the perfect location in the middle of the country, but also because of the great expertise and facilities the venue offered." Creative Director Tim Haines, who also produced the BBC TV series Walking with Dinosaurs, says: "Dinosaurs were not as lizard-like as once thought. Following the latest scientific research revelations, it is believed they would have would have sported everything from spines and quills to elegant flight feathers. Even Tyrannosaurus could have had a shaggy mane. 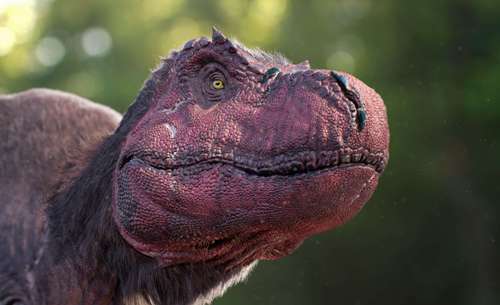 "Dinosaurs in the Wild will be the first time the public has seen realistic representations of these animals since these discoveries were made, so it really is a world-first opportunity." Cost: Price start at £25 for off-peak adult tickets and £85 for off-peak family tickets (two adults and two children).